Well, here’s an unpleasant surprise. 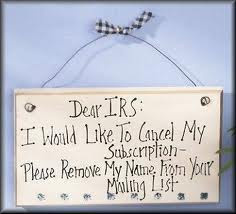 Today, in the mail, came a letter from the IRS. I had many jobs in 2009 – teaching, freelance writing, game content writing, Reiki classes, and even worked for Google for a while. Apparently, on last year’s tax return, one of my W2 had not made it into my 2009 tax return. In fact, I had never even received it and it was overlooked. But not, apparently, by someone at the IRS. We’re being charged a rather alarming sum of back taxes based on unclaimed earnings. Blah. So I’m deciding to make a win-win situation out of this instead of lamenting it. My Energy Healing Certification Program, a nine month comprehensive program in advanced studies of energy healing, usually has a $1,500 tuition fee. To give you prospective students a break, and to encourage the possibility of making the program possible for more of you, I’m offering the program (which starts this Sunday, January 9 or Thursday, January 13 – two different tracks will be running concurrently to meet demand), at a discounted rate of 3 payments of $330, or one payment of $940. You and I will have more money left to deal with our taxes, and more of us can enrich our lives with learning and growing intuitive abilities. I like looking at a troubling situation as a win-win instead. So the only catch is that the program is starting so soon. I have to give a deadline for registration. The good news is that the class is recorded, so if you miss the first one because you need a week to get your own finances organized, you can watch the introductory lesson after the fact. Therefore, you may register no later than Saturday, January 15, to receive the discount for the Sunday or Thursday program. All of the dates and topics for the Energy Healing Certification Program can be found here. Check it out. This is a life-changing opportunity. And there’s another win involved. This training, from the second week forward, gives you skills that you can apply toward helping others. That also includes guidance and support from me on growing a practice for yourself that can bring in some money in exchange for your services. As your skills increase, so will the number of opportunities that come your way. I guess that makes this win-win-win. Take that, IRS! Q: Can I really learn Reiki this way? Doesn’t this training need to be done in person? A: Reiki energy is not limited by distance. Attunements are fully effective either way, and will be experienced same as in person by each student. Everyone who receives training this way is completely capable of connecting to the Reiki energy immediately following the first attunement. Q: I’m skeptical. Will Reiki work for me? Will I feel it? Don’t I have to believe in it for it to work? A: Skeptics are welcome. All you need is a basic curiosity – enough to say, “I don’t know if this will work, but I’ll give it a try and see.” I encourage everyone to let experience be his or her teacher. I’m here to allow and facilitate you being able to experience this for yourself. Q: I’m afraid to pay for something if I don’t know if it will work or not. Is there some way to try Reiki before I commit to the program? A: I offer free 15 minute phone consultations. Email me for a time, or call and I’ll talk to you right then or call you back shortly. My number is 216-469-2499. I’ll give you Reiki while we’re on the phone and you can try it for yourself. I’ll also answer all your questions. Talk to me. I’m here to help. Q: How is this program taught? A: We meet live, online, via wiziq.com, using a link I will send you for our online virtual classroom. You’ll need a webcam, internet access, and earphones. Q: I already know Reiki. Is this program for beginners? A: Whatever level of Reiki you have, or other energy healing experience, this program will take you farther, deeper, and enrich your skills in a multitude of ways. I’m here to work with each individual to help you meet your goals – from where you are to where you’d like to be.